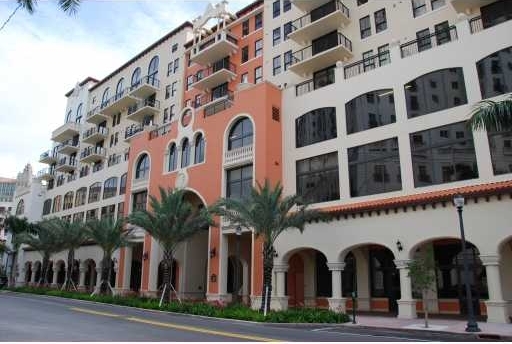 The eight story 55 Merrick in Coral Gables is a mixed use building featuring 167 units in addition to retail and office space, all located north of popular Miracle Mile. Besides its residences, the nearness to many shops and eateries makes it a great building for those who want to experience “City Beautiful” while being able to walk to many of Miracle Mile's hotspots. The 55 Merrick condo's amenities begin with its two story clubhouse but you'll also discover many other features like a state of the art fitness facility and a swimming pool to name a few. The Coral Gables condos for sale of 55 Merrick range between 848 to 1,854 square feet and come with one, two or three bedrooms. Features include Berber carpeting, walk in closets, stainless steel kitchen appliances, marble bathrooms and breakfast bars in select units. Miracle Mile has plenty of shops and restaurants to explore on foot or you can venture beyond and see what else the city has to offer like the open air Village of Merrick Park which features high end retail like a Neiman Marcus and Nordstrom, the Biltmore Hotel or Fairchild Tropical Gardens. Coconut Grove and Downtown Miami are also just minutes from Coral Gables.